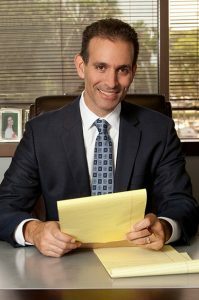 For nearly two decades, Mr. Canter has successfully represented and protected thousands of clients in all types of cases and uses this experience to represent each client to the best of his abilities. As a member of the Broward County and Palm Beach County Justice Associations and the Florida Justice Association, Mr. Canter stays active in lobbying for the rights of accident victims while also fighting against insurance companies and business interests that seek to limit those rights. All of this experience means that Mr. Canter can offer you exceptional personal care coupled with the highest level of legal knowledge and trial familiarity. In the community, Mr. Canter has been actively involved with the Boys and Girls Clubs of South Florida as well as Broward County schools in promoting the welfare of underprivileged children. He is also a sponsor and volunteer coach for the Boca Raton Youth Athletic Association and is involved with Junior Achievement of South Florida. Additionally, Mr. Canter is active in the parent-teacher associations (PTA) of his children’s schools.